I’m pleased to announce that Idlewild Park is the subject of the 2019 Historic Photography Show at the Ligonier Valley Library’s Pennsylvania Room! I’ll be guest curator of this wonderful annual exhibit that will also feature documents, memorabilia and other items featuring Pennsylvania’s oldest operating amusement park. Please contact me if you’d like loan anything for this exhibit. More details follow in the press release below. Ligonier, PA — You can’t beat fun when you check out the 18th Annual Historic Photography Show at the Ligonier Valley Library’s Pennsylvania Room. “Memories of Idlewild Park” will celebrate the history of Ligonier’s beloved amusement park, Idlewild and SoakZone. The public is asked to loan photographs, documents and memorabilia for the upcoming exhibit, slated to run from Tuesday, April 16 through Tuesday, July 9. Idlewild has charmed people across Western Pennsylvania and beyond since its origins as a 19th century picnic grove for the Ligonier Valley Rail Road. The Historic Photography Show will show how the Mellon family’s scenic picnic grounds evolved into a traditional amusement park in the 20th century and how Idlewild continues to delight generations as an award-winning family attraction today. 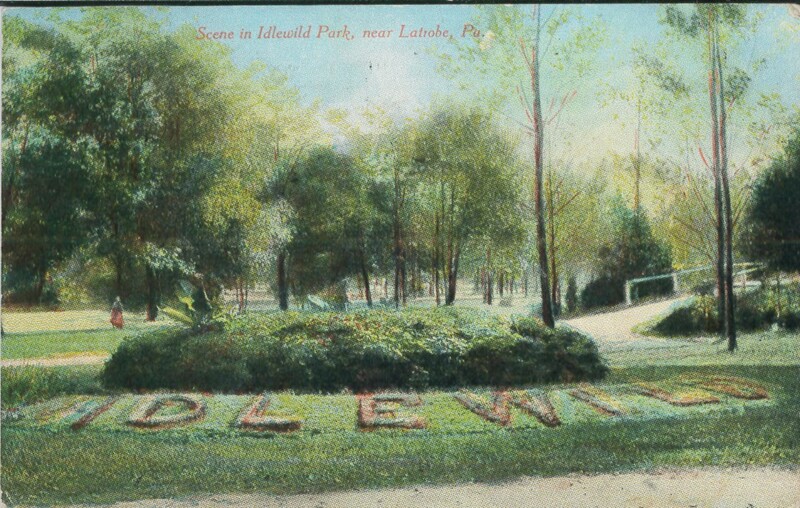 Established in 1878, Idlewild and SoakZone is recognized as the oldest operating amusement park in Pennsylvania and the third oldest in the United States. Local historian and author Jennifer Sopko will guest curate the Historic Photography Show, bringing together a fascinating collection of photographs and memorabilia discovered during the research for her 2018 book Idlewild: History and Memories of Pennsylvania’s Oldest Amusement Park. The Pennsylvania Room will host an opening night reception on Tuesday, April 16 at 6:00 p.m., with other programs planned during the duration of the show. Sopko will present an overview of Idlewild’s history on Tuesday, May 14 at 6:30 p.m. She will be joined by Idlewild and SoakZone director of marketing Jeff Croushore, who will share what’s new at the park for the 2019 season. A children’s event will be held Saturday, May 18 at 10:30 a.m., more details to be announced later. The public is welcome to view “Memories of Idlewild Park” in the Pennsylvania Room and Hallway at the Ligonier Valley Library, located at 120 West Main Street, Ligonier, PA 15658. Library hours are 10:00 a.m. to 7:30 p.m. Monday through Thursday, 10:00 a.m. to 5:00 p.m. Friday and Saturday and 1:00 to 5:00 p.m. Sunday. The mission of the Historic Photography Show is to present a facet of Ligonier Valley history that is interesting, educational and may have been overlooked in the past. The photographs and documents copied become a permanent part of the Pennsylvania Room collection, an invaluable resource for researchers. If you have photographs or items you would like to loan for “Memories of Idlewild Park,” please stop by the Pennsylvania Room or call the Ligonier Valley Library at 724-238-6451 and ask to speak with Shirley McQuillis Iscrupe, Pennsylvania Room archivist. Next postSeeking Stories & Photos for New Book on Western Pennsylvania’s Lost Amusement Parks!